The real countdown to Christmas starts with the Watch Shop Black Friday sale, and we’ve secured some of the world’s most iconic brands to make our 2018 sale the best one yet. Enjoy generous discounts on some of the best-looking watch and jewellery items from this year’s bestseller list and treat a loved one (or yourself) to a gift they won’t forget. 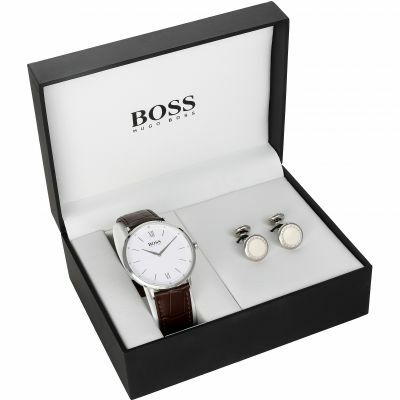 Our Black Friday deals include the legendary Hugo Boss, and other leading brands such as Michael Kors and Fossil. For something cool and casual, Casio delivers with retro pieces and their signature chronograph models. Considered one of the world’s most-loved designers, you can always count on a Michael Kors gift to impress, and this beautiful gift set in our Black Friday sale promises to leave a lasting impression. 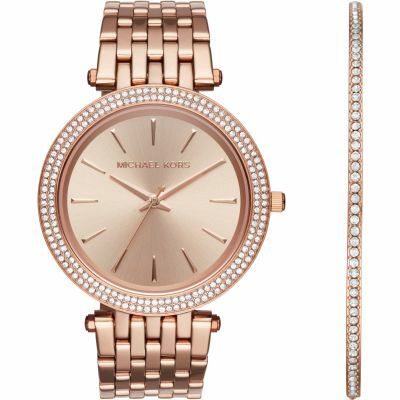 The Darci gift set features a rose gold, diamante encrusted watch, complete with a delicate bracelet that will flatter dainty wrists. Wear both pieces together for a luxe look that screams glamour. Famed for producing luxury watches that demand attention, Fossil is a brand to watch out for this Black Friday. 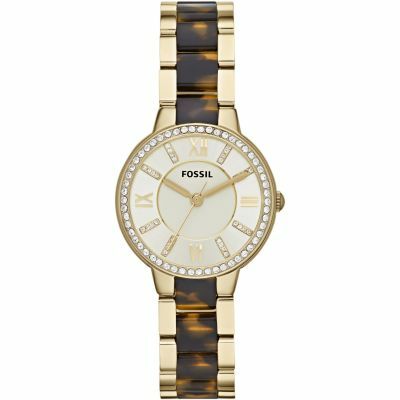 Our ladies’ Fossil Virginia watch boasts a versatile design, so you’ll get plenty of wear out of it. The statement tortoiseshell and gold colouring will complement all kinds of outfits, from casual daytime ensembles to sophisticated evening looks. Try teaming it with a cosy oversized jumper for a wintery feel or glam it up by wearing it with an elegant black dress. Since making its debut during the 1970s, when the brand was at the forefront of the digital watch revolution, Casio has carved a distinctive personality and style that’s instantly recognisable. It thrived throughout the 1980s and became synonymous with youth culture, helped along when Michael J. Fox sported the Casio CA53W Twincept Databank in the 1985 movie classic Back To The Future. Today, its retro designs are just as popular and relevant as ever, while their chronographs have been giving a futuristic update. The Casio chronograph watch EFV-500DB-1AVUEF is a fresh take on the brand’s signature vintage design, making it the perfect accessory for casual style. 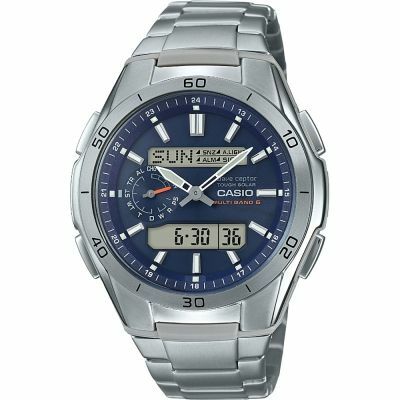 Other Casio models to look out for in the Black Friday sale include the Casio chronograph watch EFV-520DB-2AVUEF as well as the Casio alarm chronograph radio controlled chronograph watch. If you’re a big fan of metropolitan style, DKNY is a brand to keep on your radar this Black Friday. Embodying the spirit of the Big Apple, DKNY watches are bold, edgy, and designed for those who like to look elegant while standing out from the crowd. 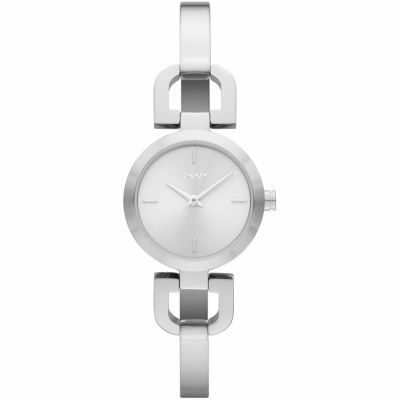 The silver and rose gold DKNY Reade watch is incredibly refined, with a sophisticated, bracelet-like quality. The stainless-steel casing promises lasting quality while the intricate hands and markers lend a feminine feel on the wrist. If you’re looking to add a splash of colour to your ensemble, the rose gold DKNY Reade watch is also in our Black Friday sale. 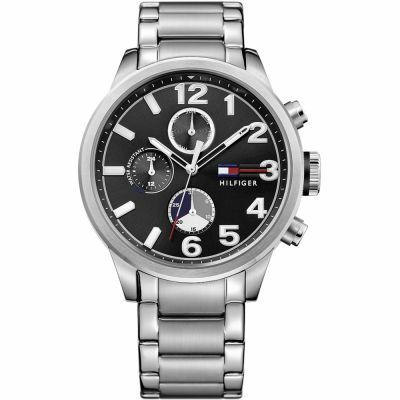 If you’re looking to trade in your old watch for something smarter from the Black Friday sale, a Tommy Hilfiger timepiece is a no-brainer. 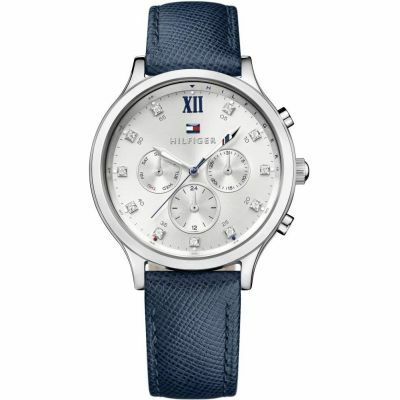 The all-American brand has been at the forefront of fashion for many years, so you can count on finding a Tommy Hilfiger watch that will outlast the trends. Featuring a sleek stainless steel design that will go with just about anything, the Jackson watch will instantly elevate your look. Discover the world’s biggest watchmaking players in the Watch Shop Black Friday 2018 sale. These brands are just six of several hundred others we have in stock, so get ready to shop our entire range of Black Friday deals and beat the rush before Christmas.